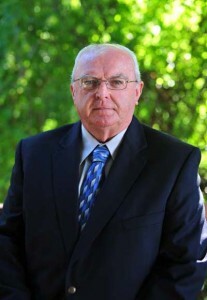 Steve Maddox is an associate commercial appraiser at Metro Appraisals. In 1998 Steve joined Metro Appraisals to focus on agricultural-oriented properties (small to large acreage tracts, poultry, cattle and horse farms), and residences on large acreage estates. For the past 15 years, he has continued to hone his appraisal skills and is qualified to appraise light and heavy industrial properties, medical and professional offices, and residential subdivision developments. Steve began his appraisal career in 1986 where he worked for nine years as a residential appraiser at Morrison & Associates in Gainesville. Then, in May of 1995, he started his tenure with Metro Appraisals in their residential department. A U.S. Air Force veteran, Steve began to improve his analytical skills as a Chinese linguist and analyst. After his discharge from the service, and while attending Gainesville College, he managed a local exterminating company and later worked in retail. Steve is a Gainesville, Georgia native and is a devoted husband and father. When he is not at work, you can usually find him on Lake Lanier chasing the elusive Bass.